EPA Removes Climate Change Language from its Website Hours Before The People’s Climate March! While more than 100,000 people descended on Washington, D.C. yesterday as part of The People’s Climate March, the Environmental Protection Agency removed portions of its website related to climate change. As if snubbing its nose at the marchers, the EPA made changes to reflect the agency’s new direction under President Donald Trump and Administrator Scott Pruitt. The EPA has also commented that the changes were necessary in order to reflect President Trump’s Executive Order on Energy Independence. Pages dealing with climate change and its impacts, climate science, and what readers can do to combat climate change are no longer available. Astrid Caldas, a climate scientist at the Union of Concerned Scientists, said that the changes were deliberately made to coincide with Saturday’s climate march. A bullying act on the part of the leadership of the EPA! Donald Trump Addresses National Rifle Association Convention: No Guns Allowed! “Guns are allowed in most public places in Georgia, including the Georgia World Congress Center in Atlanta where the NRA is holding its annual meeting through the weekend. But as with most presidential appearances, firearms aren’t allowed. The NRA was providing lockers for free so people could stow their firearms while inside the room where Trump was to speak Friday afternoon. Also, each person entering the hall at the center had to go through metal detectors and have bags inspected. President Donald Trump was the first sitting president to address a National Rifle Association convention in more than 30 years when he spoke yesterday at the group’s annual meeting. Trump has been a champion of gun rights and supportive of NRA efforts to loosen restrictions on gun ownership. During the campaign, he promised to do away with President Barack Obama’s efforts to strengthen background checks. A little bit of hypocrisy here given that the NRA has recommended that teachers carry guns to protect themselves and their students in schools. Barbara Byrd-Bennett, Former Chicago Schools Chief, Sentenced to 4½ Years in Prison! “Ms. Byrd-Bennett, who was handpicked for her job by Mayor Rahm Emanuel, learned of her prison term as the almost-cashless district struggles to keep its classrooms open. Chicago Public Schools officials had warned that they could end the academic year on June 1, three weeks earlier than planned, unless the state of Illinois provided more money. Mr. Emanuel backed off that threat on Friday, but said he was not sure where the money would come from. Budget crunches also haunted the tenure of Ms. Byrd-Bennett, who in 2012 took over a district that had just weathered a teachers’ strike. She quickly enraged many here by helping put in place a plan to close dozens of schools, mostly in black and Latino neighborhoods, in an effort to save money. Perceived as a seasoned leader of urban schools, with experience in Cleveland and Detroit, Ms. Byrd-Bennett was sought out to improve Chicago’s schools, which enroll more than 380,000 children. But Ms. Byrd-Bennett raised suspicions after the school board approved a $20 million, no-bid contract with her former employer, a private company that provides training to school principals. She had schemed to steer school district business to the company, with the promise of kickbacks and a lucrative job that would be waiting for her whenever she left Chicago. She resigned in May 2015, shortly before being indicted. “I’m especially sorry that I’ve let down the students and their families,” said Ms. Byrd-Bennett, who pleaded guilty, and who must surrender to a federal prison in West Virginia in August. Her sentence was more than what her lawyers had requested, but far less than the term of more than seven years that prosecutors had sought. Judge Chang noted the lengthy history of public corruption in Chicago and the school system’s financial struggles as he handed down the punishment. “When this crime was committed in the midst of the C.P.S. budget crisis, it did make it all the worse,” Judge Chang said. A sad case. Hopefully the Chicago public school system can move on assuming it can weather its budget crisis. Purdue University Buying For-Profit Kaplan University! “Graham Holdings Co. announced this morning in a filing with the SEC that it plans to sell its for-profit Kaplan University to a new non-profit public-benefit corporation called New University that is affiliated with Indiana’s Purdue University, a state institution. Purdue confirmed the deal in a press release quoting its president, Mitch Daniels, the former governor of Indiana. The Purdue release states that Kaplan will provide services including “technological support, human resources, facilities management and other administrative functions.” In other words, Purdue could keep paying Graham Holdings for decades to help run the New /old university. The details of the deal are now out. Graham is selling Kaplan University to Purdue for $1 ― potentially a big tax win for Graham, even as it has the chance to reap big annual returns from the service contract. This is an interesting new model for higher education and one that will be watched closely. President Trump Orders Betsy DeVos to Review USDOE Policies to Strengthen Local Control of Education! “President Trump issued a sweeping review of federal education policies on Wednesday in an executive order to pinpoint areas where the government may be overstepping in shaping operations of local school systems. Mr. Trump described the order as “another critical step to restoring local control,” and one that fulfills one of his campaign promises. The review will be conducted within 300 days, and its findings will be published in a public report. It aims to ensure local leaders will have the final say “about what happens in the classroom,” said Rob Goad, a senior Education Department official. Ms. DeVos is already empowered to rescind guidance and regulations, and has already done so, and any attempt at overturning laws would be subjected to a legal, regulatory process. “And when it comes to education, decisions made at local levels and at state levels are the best ones,” Ms. DeVos said. The review will focus on K-12 policy, Mr. Goad said. It will be overseen by a regulatory task force headed by Robert Eitel, who was hired from the for-profit sector to serve as a senior counselor to Ms. DeVos. Mr. Eitel is a vocal critic of regulations in higher-education and K-12 policy, and his hiring was controversial. The most provocative part of this article is the fact that Robert Eitel, who will be heading the review was affiliated with a company that operates for-profit colleges known for deceptive student lending practices. “So far the device has only been tested on fetal lambs. A study published Tuesday involving eight animals found the device appears effective at enabling very premature fetuses to develop normally for about a month. “The whole idea is to support normal development; to re-create everything that the mother does in every way that we can to support normal fetal development and maturation,” Flake says. “I think this is a major breakthrough,” Shaffer says. 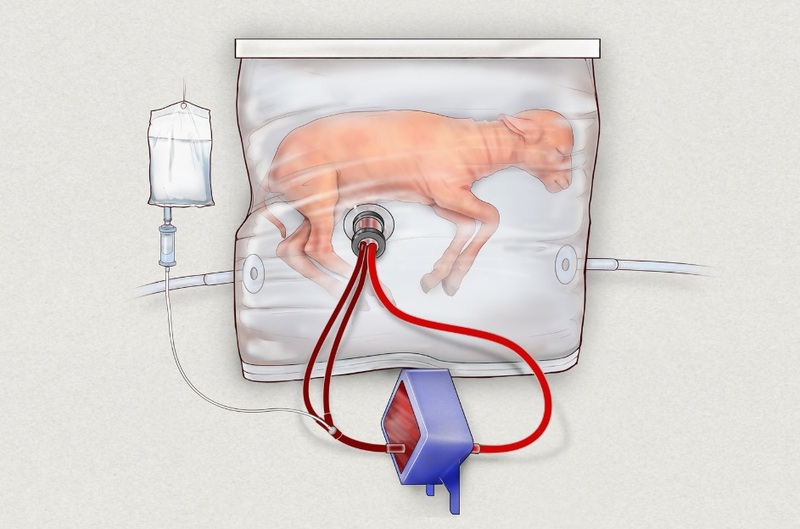 The device in the fetal lamb experiment is kept in a dark, warm room where researchers can play the sounds of the mother’s heart for the lamb fetus and monitor the fetus with ultrasounds. “There are all kinds of possibilities for stress and pain with not, at the beginning, a whole lot of likelihood for success,” says Dena Davis, a bioethicist at Lehigh University. “If it’s a difference between a baby dying rather peacefully and a baby dying under conditions of great stress and discomfort then, no, I don’t think it’s better,” Davis says. “If it’s a question of a baby dying versus a baby being born who then needs to live its entire life in an institution, then I don’t think that’s better. Some parents might think that’s better, but many would not,” she says. This sounds like an incredible biotechnological breakthrough but one that surely will have serious ethical ramifications when used with humans. Frank Bruni Looks at USC’s Neighborhood Academic Initiative! “If you go by the odds, Sierra Williams shouldn’t be in college, let alone at a highly selective school like the University of Southern California. Many kids in her low-income neighborhood here don’t get to or through the 12th grade. Her single mother isn’t college-educated. Neither are Sierra’s two brothers, one of whom is in prison. Her sister has only a two-year associate degree. But when Sierra was in the sixth grade, teachers spotted her potential and enrolled her in the Neighborhood Academic Initiative, or N.A.I., a program through which U.S.C. prepares underprivileged kids who live relatively near its South Los Angeles campus for higher education. She repeatedly visited U.S.C., so she could envision herself in such an environment and reach for it. She took advanced classes. Her mother, like the parents or guardians of all students in the N.A.I., got counseling on turning college into a reality for her child. Sierra, 20, just finished her junior year at U.S.C. An engineering major, she’s already enrolled in a master’s program. “My end goal is to get my Ph.D.,” she told me when I met her recently. She wants to be a professor and, through her example as a black woman in engineering, correct the paucity of minorities in the field. It’s now some two decades since the first class of seniors in the N.A.I. graduated from high school and went on to college. More than 900 kids have used the N.A.I. as an on ramp to higher education — more than a third of them ended up at U.S.C. — and that number is growing quickly as the N.A.I. expands. The public school that many N.A.I. enrollees attend, the Foshay Learning Center, was responsible for more new arrivals on the U.S.C. campus last fall than any other public or private high school in America. Nineteen N.A.I. alumni started as freshmen; 11 more transferred from other colleges. And N.A.I. doesn’t even represent the whole of U.S.C.’s efforts to address inadequate socioeconomic diversity at the country’s most celebrated colleges. Although U.S.C. has often been caricatured as a rich kids’ playground — its nickname in some quarters is the University of Spoiled Children — it outpaces most of its peers in trying to lift disadvantaged kids to better lives. Those peers should learn from its example. Bruni comments that N.A.I. is the type of program that should be emulated at other selective colleges and universities. I agree! NYC Mayor Bill de Blasio Proposes Free All-Day Preschool for 3-Year Olds! “Mayor Bill de Blasio announced on Monday that New York City would offer free, full-day preschool to all 3-year-olds within four years, saying that he was building on the success of the city’s prekindergarten program for 4-year-olds and that it was time to go further. New York would be one of few cities in the country to offer free preschool to every 3-year-old, including Washington. But New York’s program would dwarf that city’s effort, which enrolls only 5,700 3-year-olds. In New York, officials expect to serve 62,000 children a year. … In the often-divided world of education, the long-term benefit of early childhood education, particularly for low-income children, is one of the few things most experts agree on. Politicians on both the left and the right embrace the idea of expanding access to preschool, a rarity among educational initiatives. A number of states, including Florida, Georgia, Oklahoma and West Virginia, offer universal prekindergarten for 4-year-olds. Studies have found the biggest effect when low-income children are put in high-quality education programs soon after birth. A study by James J. Heckman, an economist at the University of Chicago and a Nobel laureate, followed participants in two randomized experiments conducted in North Carolina in the 1970s through age 35. It found that youngsters who attended a high-quality early childhood program completed more years of education and had higher incomes as adults than did children in the control group, who either did not go to preschool or were in lower-quality programs. The men were less likely to use drugs or have high blood pressure. Mr. de Blasio’s new plan, which he called 3-K for All, comes with many challenges, not least that the mayor said the city would need $700 million from the state and the federal government to be able to reach all children. Congratulations to both Governor Cuomo and Mayor de Blasio for taking these extraordinary education initiatives for our state and city. Homeless Student Population Growing in New York City Public Schools! “The number of students in the city’s public schools who lived for some part of the school year in New York’s homeless shelters during school year 2015-2016 rose by more than 4,000, or 15 percent, over the preceding year to nearly 33,000. IBO recently explored the multilayered impediments to classroom success faced by students living in the city’s shelter system, as well as the substantial challenges faced by schools serving large populations of shelter residents. In 2015-2016, over 40 percent (13,729) of students in the shelter system attended school in the Bronx. This represents a 44 percent increase in shelter residents attending schools in the Bronx since 2011-2012. The number of homeless students attending school rose 18 percent in Brooklyn, 21 percent in Manhattan, and 50 percent in Queens over the same five-year period. Staten Island, the borough with the fewest students living in shelters, saw their numbers double, an increase of 105 percent. The update makes clear that the homeless student population is growing and reaching historic proportions especially in the Bronx and Brooklyn. Good work, Liza, for bringing attention to this issue. Kristina M. Johnson, an Engineer, to be Next Chancellor of SUNY! “Kristina M. Johnson, an engineer who developed technology critical to 3-D movies and served as undersecretary in the United States Energy Department will be appointed chancellor of the State University of New York. SUNY has 29 four-year colleges and universities and 30 community colleges, which serve a total of roughly 440,000 full- and part-time students. Assuming Dr. Johnson’s appointment is confirmed by the board of trustees on Monday afternoon, she will arrive at a time when state funding as a percentage of operating costs is down from a decade ago. At the same time, colleges are under pressure to increase access and graduation rates for low-income students. Dr. Johnson, 59, said in an interview that, in addition to promoting excellence in research and teaching, she planned to focus on environmental sustainability and on creating an individualized model of education. That model would help students identify their interests early on in college and then take courses that would prepare them for their ideal career, she said. “What’s important is that we help our students find their purpose and their passion,” she said. Dr. Johnson will succeed Nancy L. Zimpher, SUNY’s first female chancellor, who is credited with having elevated the system during her eight-year tenure. Dr. Zimpher, 70, will step down in June. Dr. Johnson will begin on Sept. 5. The SUNY board will appoint an interim leader to serve from June to September. In addition to being an entrepreneur, Dr. Johnson is also a seasoned administrator. As dean of the Pratt School of Engineering at Duke University from 1999 to 2007, she raised the school’s prestige, expanding the size of the faculty and the number of graduate students, tripling research expenditures and building a 322,000-square-foot interdisciplinary teaching and research center. She attracted a $35 million gift from Edmund T. Pratt Jr., a 1947 graduate who had been the chairman and chief executive of Pfizer. At the time, it was the second-largest financial gift in the university’s history. She reduced the number of undergraduates who dropped out of the engineering program, in part by overhauling the curriculum to give students earlier exposure to exciting topics in the field. She created a fellowship that allowed roughly a third of undergraduates to spend 18 months doing research in faculty members’ labs. Surveying the students when they graduated, she found that the careers they were pursuing were richer than “a single one- or two-track, which is what they were on before,” she said. 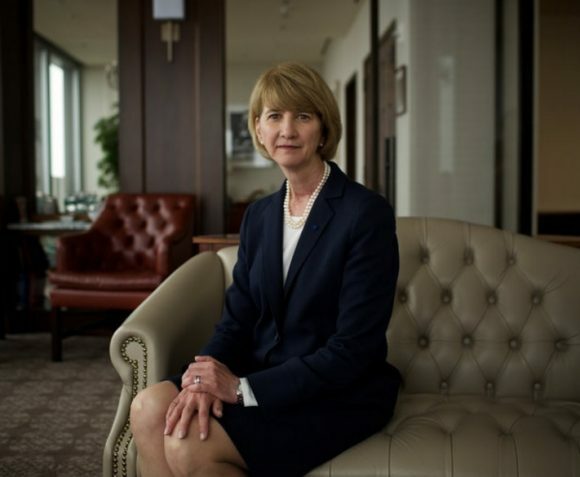 Rob Clark, the provost and senior vice president for research at the University of Rochester, who served as Dr. Johnson’s senior associate dean at the Pratt School and then succeeded her as dean, described her as an inspirational leader. When she started, he said, the engineering school lagged the university as a whole in rankings and general stature. In addition to raising $250 million and tripling the school’s teaching and research space, he said, she fostered a culture in which faculty more often pursued grants as teams, rather than individually, and encouraged entrepreneurship. Dr. Johnson was born in St. Louis and grew up in Denver. An avid athlete, she wanted to play lacrosse in high school, but her school did not have a girls’ team, so she practiced with the boys. As an undergraduate at Stanford, she majored in electrical engineering, played varsity field hockey and started a women’s lacrosse club team that later became a varsity team. She also got her master’s degree and doctorate from Stanford. From 2007 to 2009, she was the provost and senior vice president for academic affairs at Johns Hopkins University. In 2009, she was confirmed as under secretary of energy, overseeing a $10.5 billion program that included nuclear energy, fossil fuels, renewable energy and waste management. She stepped down at the end of 2010 and started a company that builds and modernizes hydroelectric plants. While overseeing the design of the Fitzpatrick Center for Interdisciplinary Engineering, Medicine and Applied Sciences at Duke, Dr. Johnson said, she conducted research on how to create a culture that leads to cross-disciplinary breakthroughs. Dr. Johnson sounds like a winner. Good luck to her!